Quality packaging is the best way to prevent damage. The choice of right packaging is fundamental for safe deliveries. Consider that how stable and enduring your used box is. 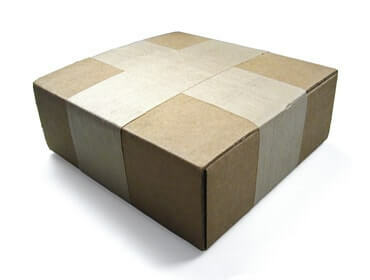 A correctly chosen box can protect your items and endure the delivery from start to finish. The contents shouldn’t touch the box’s walls. Unusual or round shapes need extra attention. Special packaging is needed if the content is liquid or powder in form. For valuable content use extra cushion and extra layers of protection. Thick layer of cushioning and protection is essential for fragile content. Put clear sender and addresse information of the outside of the box. Dampness and discolouration sensitive content should be packed in a sealable plastic container for protection. Always use multilayered corrugated cardboard boxes. In case of fragile or heavy items, two or three layered boxes are recommended. Avoid old, overused boxes, which may not hold the content safe. Bubblewrap, airbags, cardboards, packing beads are used commonly for packaging. 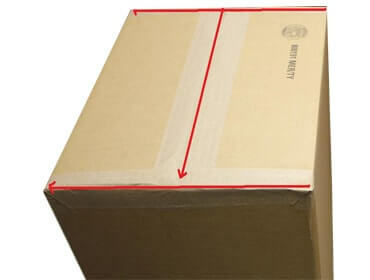 Each of them has their advantage, so it is important to pick the right material for our parcel. Not fully filled boxes can be crushed, overfilled ones can be split. This can be avoided easily, if the right box is chosen to the content. It is very important that the empty spaces in the box are filled in, because the content of the box can move during transit and both the content and the box can be damaged. So try to fill the empty spaces in the box to avoid problems mentioned above and make sure nothing is moving inside. In the table below each material can be identified by their use and advantages. It is good to know that the bubble wrap is okay to fill up space, but there are much better alternatives for this role. When you chose your filling material be aware that its weight will be counted to the final weight of the parcel. Some materials can be flattened or crushed by the weight of the content, and can create emty space in the box. 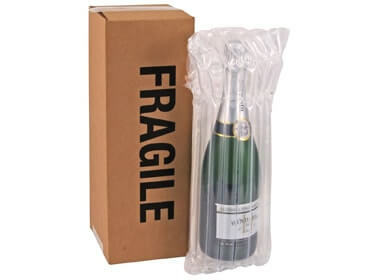 It is great to packing fragile items (e.g. documents, electronic parts, glass parts etc.). Double layered corrugated boxes recommended, but if a single layered box is used make sure that the box is strong enough to hold its contents. Be sure that the content is put in the middle of the box and it is positioned that all sides are 6 cms from the walls of the box. If zou pack multiple items in one box make sure, that every item is packed individually and separated well. Fill all the empty spaces to avoid movement within the box. Pack by pieces and use separating walls. Separators not only good for organization, but help preventing damage, especially if the items are stacked onto each other. Small or unique items should be packed into small boxes. The box in the box method uses an extra larger box outside the original for extra protection. 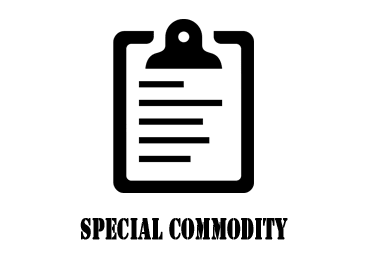 Useful if sending fragile or commodity content. Both outside and inside packing need some preparation. For the inner box the original manufacturer packaging is ideal. In any other case follow the Basic Packaging Method. Before the outside box is closed, ensure that the movement of the inner box is prevented by filling. Many houshold liquid and powder is categorised as dangerous in the European international delivery regulations. Ensure that the liquids are packed in a non-leaking container and are protected against any damage (bubblewrap, foam sheets). It is recommended to seal the protection packaging. It is recommended to put the container into a double walled strong box, with BAsic Packaging Method. Viscous, greasy, liquids with strong odour is to be strengthened with packaging tape also. It is worth packing the container into a grease-proof paper before putting into the box. Powders and fine grained substances recommended to be put into a plastic bag, seal it and put it into a strong single wall cardboard box. 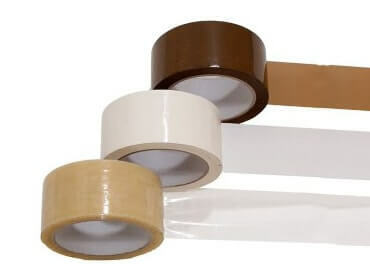 The most effective sealing technique, needs only three tape piece. Tape around the box is not recommended under 30 kg boxes (unless the item is not round itself, like a pipe, rolled up bedlinen. Smaller boxes should have enough rigidity without taping around. If the parcel needs extra careful handling (orientation, centre of gravity, fragility, etc.) it is handy to put signals onto the box. The right signals can help a lot in the right handling of the box, because the special handling need can be identified by a glance, and though writings can differ, symbols are universal. Drawn symbols can help a lot to the driver, who can handle the parcels much more effectively. Arrows show where the top of the box is. With this inproper positions can be avoided, not to mention the weight distribution. The content is sensitive to extreme wetness (e.g. 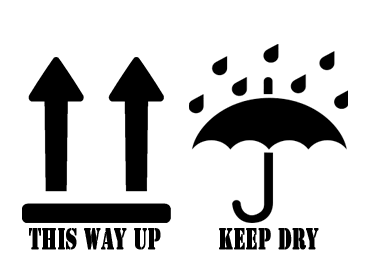 rain), should keep away from damp areas. The parcel should be used carefully, the content is fragile. 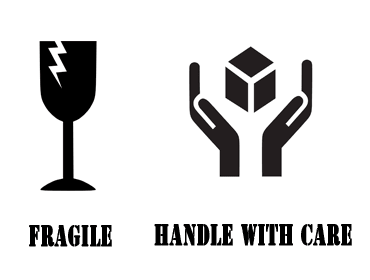 If multiple fragile items packed together (plates, glasses, etc.) they are recommended to pack individually and well separated. 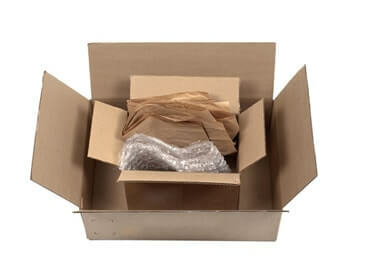 It is recommended to use a double walled corrugated, rigid cardboard box to protect the content, and highly recommended to use the Box in the Box Method. Sensitive electronic content (eg. notebook, desktop computer, monitor, tv). They can include fragile and hazardous elements. Using original packaging is highly recommended, but special packaging can be bought. TV or monitor should be cushioned on the screen (original packaging is ideal in this case), its stand should be taken off and its corners have extra cushions. Because many original packaging are not designed to endure long distance travel, it is recommended to use the Box in the Box Method. Phones and tablets Ideally the original boxes should be used, but a double cushioned jiffy bag can do a good job protecting the content. It is highly recommended labelling every parcel containing electronic goods, so the driver knows which has to be handle with extra care. Anybody who ever owned any pet (let them be a dog, cat, rodent, bird, or any other animal) knows: leaving a pet behind is one of the hardest thing to do. Especially knowing, that the pets themselves suffer being away from their owner. Because of this, many who move to Ireland and Britain decide to transport pets with them or bring them out later. Many are afraid to start doing it, because of the many of tasks for success, and rather suffer the consequences. Skinnytans would like to make the process easier by giving a list of things, what your pet needs, how they can travel and what Skinnytrans can offer you and your pet to help. Your pet can travel into Ireland via two ways: air and land tansport (the later involves a good few hours of travel on sea). In both cases the pet travels in a box/cage and the box/cage is stored in the cargo hold. Land transport is longer, but the pets take breaks and have a walk (dogs, cats). With air transport this is not possible, but the travel time is not longer than 3 hours in case of Ireland. Because of Skinnytrans is involved in land transport, here we discuss that in detail. Because of complexity of the new (since 28.12.2014.) animal passports, our delivery company wants to check the documentation 1-2 weeks before the travel to avoid any confusion with inproperly filled documentation. We ask for the photographed or scanned version of the pet's passport via email so we can correct any mistakes or incorrect passages. 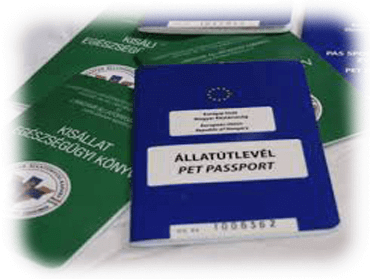 Older passports can be used for the whole lifetime of the pet or until a certain section fills up entirely. Every dog in Ireland needs to have Dog Licence. Aquirement is easy: it is available at any local An Post office, it's €20 in 2017, for the whole lifespan of the dog is €140. The Dog licence is compulsory, if the owner cannot show the licence upon request the fine can be as high as €5000. It is recommended to aquire it as soon as possible after arrival to avoid any issue with the authorities. Of other pets the owner needs to fill a Declaration of Ownership of Moving Pets for birds, for rodents and reptiles) and have it posted to the Irish Agricultural Ministry (address: Animal Health and Welfare Division, Department of Agriculture, Food and the Marine, Kildare Street, Dublin 2, D02 WK12, Ireland). Also it is recommended to provide a clean bill of health for the pet. - before entrance to the destination country in the timeframe (hour and minutes are important!) of 24 – 300 hours (1-5 days) have to administer a worming substance approved by the EU against Echinococcus. Suggested worming substances: Drontal, Stronghold, Cestal. 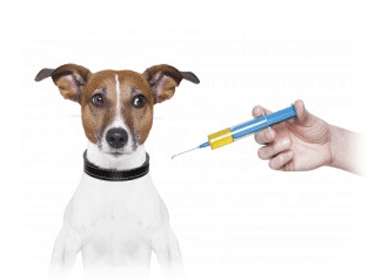 In Hungary lowest possible age for vaccination against rabies is 3 months old. Our delivery service spends on travel 40-45 hours. This involves a 20 hours of sea travel (Cherbourg-Budapest route lasts about 20-25 hours, with safe travel conditions) as well. The pets spend large amount of this time in a locked box/cage and despite all our efforts the animals endure a great deal of stress. Although our collaegue is trained to care for the animals (pet loving and owner themselves) and does everything to comfort and relieve stress for the animal, foreign environment, long enclosure, loud noises, and the lengthy travel are very trying for the animals. All our boxes are comfortably large, well ventillated and well cushioned, so the animal is safe. Despite all, it is well worth to prepare the animal to travel in a psychological sense as well. Short trips in car, toys to play with, regularly timed feeding, less cushioned sleeping den would all contribute to a successful transport. 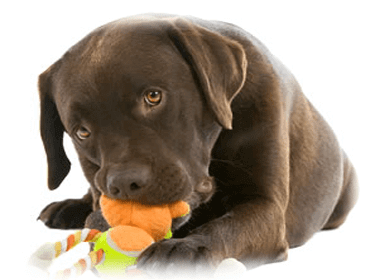 It is reacommeded to provide the pets' favourite toys, sleeping mattress, feeding or drinking bowl or any item, which relieves their stress. Though our delivery company can provide dry food if necessary, we highly recommend, that you provide the pets' favourite food to cover the journey. Any sudden change in diet can cause diarrhea, and other problems. Please provide the collar and leash of the dog (or cat), otherwise we are unable to let them out from their box/cage for walk and breaks. If pets become aggressive while locked in, it is really important to make them get used to it and comfort them, because not only our delivery company rejects the transport, but Irish/British authorities doesn't even allow aggressive animals into the country. If necessary a person needs to travel with the pet (this would cost extra though.). Important: We cannot transport aggressive animals. We are bound by law to take breaks, to take care of them personally, but we can't do it with aggressive animals which can be dangerous for the driver. In recent years our pets travel as much as we do. Although many uses the services of delivery companies, very few know that pet delivery is tightly regulated and dependent on certifications and registrations. To trust our pet on a delivery company who has no proper certifications and is not registered could not only lead to weeks of quarantine for the animal, but the owner can face charges of animal cruelty. Skinnytrans is proud to announce that registered and acquired every necessary certification for proper pet deliveries. 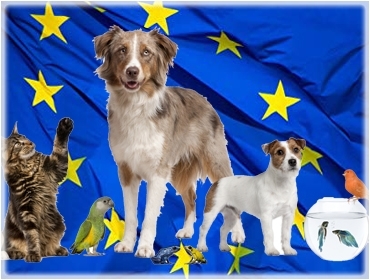 Also we are registered at the EU run system TRACES so your pet is not only in safe environment and taken care of but they travel in compliance in every European regulation and law. Szóval mit jelent ez a kedvenc tulajdonosának? So what this means to the pet owner? To see the answer you have to understand what is required to properly deliver pets commercially within the EU. - If a delivery company transports pets between two EU countries (which means in exchange for money) the pet delivery is considered commercial animal transport by EU laws. - The delivery company’s driver must be trained properly in long range (over 65km) animal delivery. - The delivery company has to separate the animal from other cargo with specified measurements of the cage and providing proper ventillation. - The delivery company has to have the proper documentation and has to provide proper medical care for each individual animal. - The company has to have all the proper certification and has to be registered in the EU TRACES system. Since January 1st, 2019. all customs office (this is especially true to the UK and Ireland) are instructed not to let through any animal without these certifications and registrations with commercial delivery companies. We would like to ask all our readers’ attention that if you wish to bring to or from Ireland their pets, choose only those delivery companies who acquired all the necessary certifications to avoid weeks of quarantine and long and painful legal procedures. The proper preparation of the animal is very important for a successful international transport. Think through, what extra information can help your pet’s transport. Every bit of extra information (don’t like if his ear is scratched, scared of sudden noises, only drinks fresh tapwater) can help to treat your pet properly. Considering, that the journey last almost two days, many owner wants to overfeed their pet. This results in the opposite, the overfed animal throws up the extra food and will be more hungry afterwards. Please feed them normally before the journey. Please put every document into a plastic folder or wallet for the easier handling or protection. Snubnosed dog and cat breeds are not banned, but it is not recommended, because they breath with difficulty and the stress of the journey can cause trouble. Though our delivery service accepts these animals for travel, we recommend to reconsider it. Regarding dogs we are only able to deliver 4 animals at once. If you want to transport more dogs, please contact us before placing an order. We can transport smaller animals (cat, bird, rodent, etc.) without previous arrangements.